A delay from God is not a denial. When God tells us He is going to do something in our lives we want it at that exact moment. When it doesn’t come at that exact moment, then we get discouraged. But The Lord does not act according to our time schedule. He has His own. Let’s look at David. Samuel the prophet anointed him to be king when David was just a little boy. He didn’t take the throne the next day. He went through ups and downs. He ran for his life. He hid in caves. He cried at times due to his great anxiety. However, at age thirty, God’s promise was fulfilled. David became King. God has not lied to you. 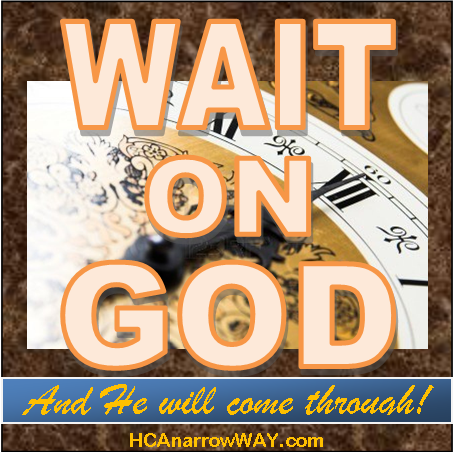 If He said He is going to do something in your life, then He will, but He will do so in His timing. Even on your darkest days trust that God still has you in His hand. Trust that He is working behind the scenes. Trust that He will fulfill His promises to you when His timing is right. The job or position is not where you want to be, but know that God is doing something in that place. Hold your head up high and believe that God would never leave or forsake you. His promise is on the way. If God put a desire in you, then He will bring it to fruition. Remember, a delay is not a denial!